BEIJING: China highly appreciates Pakistan’s latest initiative to implement the ‘National Action Plan’ to fight out terrorism. 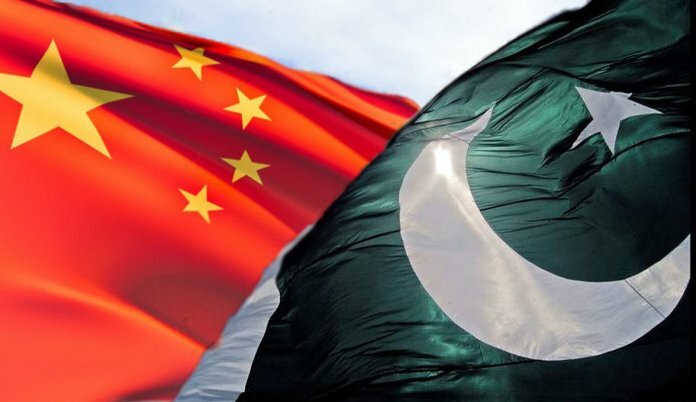 This shows Pakistan’s stance and determination to firmly fight terrorism and resolutely implement relevant UN sanctions resolutions, said a spokesperson of the Chinese Foreign Ministry Lu Kang at a regular news briefing here on Monday. His attention was drawn to a report that Pakistani Ministry of Foreign Affairs issued the “Guidelines for the Implementation of the UN Security Council’s Financial Sanctions, Travel and Weapons Ban”, and further supervised and guided the federal and provincial governments to implement the UN Security Council’s sanctions against relevant individuals and organizations. Lu Kang said, they have noticed the report, adding, “Pakistan is an important participant in the international fight against terrorism and has made tremendous efforts and sacrifices for international anti-terrorism cooperation and international anti-terrorism. A questioner drew his attention to the recent interview of the Indian Ambassador to China in which he had hinted that India might not participate in the second “Belt and Road” international cooperation summit forum, scheduled to take place here latest this month. Responding to the question, Lu Kang said the Indian side, including the Indian government and all walks of life, is involved in the “Belt and Road” cooperation or related activities. “You have to understand the Indian side,” he remarked. The spokesperson further said, the “One Belt, One Road” initiative was proposed by the Chinese side, but it is an international public product. The first “One Belt, One Road” International Cooperation Summit has achieved success and gained a large number of pragmatic results, which is a good illustration of the problem. After the first forum, more countries and international organizations actively participated in the “Belt and Road” international cooperation summit forum, which is also very illustrative. Lu Kang went on to emphasize that the “Belt and Road” initiative is an open and inclusive economic cooperation initiative and has never been involved in territorial disputes. In the process of building the “Belt and Road” with relevant countries, China has always adhered to equality, openness and transparency, adhered to market-oriented operations with enterprises as the mainstay, and acted in accordance with market rules and popular international rules. If the relevant parties have made some misunderstandings because they do not understand the situation and have made inaccurate judgments on whether to participate in the “Belt and Road”, please believe that the Chinese side insists on sharing and sharing in the process of promoting the “Belt and Road” and insists on equal consultation. The concept of mutual benefit and win-win is sincere and resolute, he added. Responding to a follow-up question, Lu Kang said, the “One Belt, One Road” cooperation initiative has been open and inclusive since its inception. It is open to all interested countries that are willing to participate in cooperation and win-win situations. They do not want to exclude any aspects. If the relevant parties need to wait and see, we can also wait. Commenting on the reports that more and more countries and international organizations participate in the second “One Belt, One Road” international cooperation summit forum, and it means that those who do not participate will lose opportunities, the spokesperson said these countries could only judge by themselves.